hills giving you a mountain course feel. On the back nine, the course flattens out with three holes along the magnificent Piankatank River. Here at Piankatank River Golf Club we have everything players have come to expect from a truly top tier golf facility, including a thoughtful course design, fully-stocked pro shop and elegant setting. The amenities are nice, but the real star of the show at Piankatank River Golf Club is the high quality of the course design. Ours is the rare layout that manages to both challenge experienced players as well as help newcomers and rookies relax while they enjoy learning the classic game of golf. 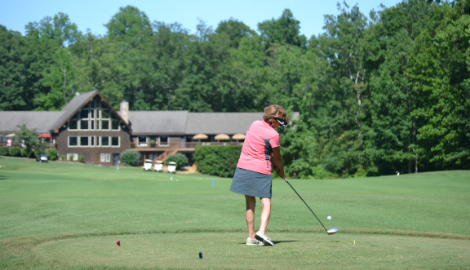 We have great practice facilities for you to hone your skills before heading out on the course. Just make sure you come prepared to reach for every club in your bag.